The Cathedral College is a Catholic Co-educational Secondary College in Rockhampton, Queensland, Australia. The College Mission Statement invites students to “Come, live life in all its fullness” and we seek to help students develop their spiritual, academic, sporting and cultural dimensions in the time they spend with us. The Day Campus is located next to St Joseph's Cathedral in William Street and the Girls' and Boys' Residential Campuses are located just a short distance away. Residential Campuses: Separate facilities for both Boys and Girls are located near the Day Campus in Upper Dawson Road and Agnes Street. Daily transport to and from the Residential Campuses are provided for all Residential Students. 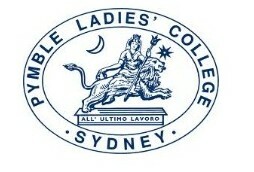 Pymble Ladies' College is a Uniting Church school for girls from Kindergarten to Year 12, with boarding from Year 7. Our philosophy at Pymble Ladies' College is to offer a diverse range of opportunities at every level of schooling whilst nurturing the confidence and self esteem to make these opportunities count. The College provides a happy, safe and nurturing environment offering more opportunities to pursue a balanced education encompassing life skills, personal development, physical well-being, creative fulfilment and academic excellence. Pymble is divided into five separate schools on the one campus. Each of the schools has its own Head and Deputy Head of School and each school has its own distinct precinct. Five schools on the one campus provides more leadership opportunities and additional age-specific academic and personal care for each student. The values and the ethos of the Uniting Church in Australia provide the foundation for dynamic, engaged learning at Pymble, with the College open to girls of all religions. Our Halls of Residence provide the opportunity for students studying at Gatton College to learn, socialise and build new friendships in an environment where they can concentrate on the important aspects of life. Each hall develops its own community spirit where people of different backgrounds, ages, cultures and interests together explore the excitement of university life. Our student apartments in Melbourne are your secure base for success in study and a great lifestyle! With quiet and privacy when you need it and fantastic facilities close at hand, you can find the perfect balance between study and having fun. Le Student 8 student housing includes many options for relaxing with friends. Table tennis, billiards, the student bar and restaurant, resort-style swimming pool and barbecue area are just a few! All the latest technology and services you need to get a head start in your studies are available at our Student Centre. The Study Centre is the perfect place to retreat to for quiet study. Mix with new friends in our spacious communal kitchens on every floor, or choose from a feast of tasty dining options at onsite cafes and restaurants. 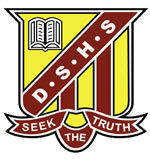 Dalby State High School moved to its current location in 1954 and is the longest established secondary school in the Dalby District. Dalby State High School is a secondary school that provides young adults with a secure and well-ordered environment to acquire the skills, knowledge, personal qualities and valued credentials essential to life in the twenty-first century. We are committed to developing the best educational outcomes for our students. The school holds an enviable record in academic, cultural and sporting competitions. We have a strong performing arts programme with its annual musical and school bands well known in the district. Boarding at Dalby State High School Bunya Campus is a wonderful experience for students. The 360 hectare school campus, located a couple of kilometres north of Dalby’s town centre, is a quiet, picturesque setting where students can achieve their potential, no matter where their interests lie. 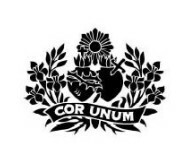 St Ursula's College is Catholic day and boarding school for girls in Years 8 - 12 - stretching the boundaries for young women within a caring supportive and challenging learning and residential environment. St Ursula's College offers an exciting and innovative curriculum characterised by quality teaching and learning. Each student is challenged to give of her very best in an environment where her talents are recognised and affirmed. The curriculum features a rich offering of subjects which allows each girl significant choice and flexibility as she plans a course of study appropriate to her needs. St Ursula's College offers a term unitised curriculum in (Years 8, 9 and 10). It is designed to allow each girl to plan a course of study which suits her particular needs. Fenner Hall provides high quality academic and pastoral support in a friendly community environment. Our residents come from a variety of backgrounds and nationalities, and this adds to the rich social life within the Hall. Each resident is provided with a fully furnished study/bedroom with central heating, full telephone and internet connection service. Fenner Hall is close to both the campus and the centre of the city. All our courses not only provide a deep Biblical understanding but also the necessary skills to communicate, relate well and to understand culture. One of our top priorities is to provide people not just with knowledge but with transferable skills as they go into ministry, making each graduate immediately effective. 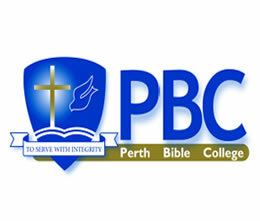 Further, the college experience at PBC provides a loving and supporting community in which we encourage one another to move forward to be more like Christ. The Australian Maritime College was established in 1978 and is the national tertiary institution for Maritime Education and Training. The student population represents over 38 nationalities worldwide. The Newnham Campus is located 5km from the centre of town and we can accommodate over 300 students. The Beauty Point Campus is located 50km from Launceston and can accommodate over 100 students. The College's training vessels and practical training facilities are situated here. Also available at Newnham Campus is short course and Conference Meeting Delegate accommodation and facilities. Blackheath and Thornburgh College is an Independent, co-educational College catering for day and boarding students in years Prep – 12. Founded in 1919, generations of students, parents and staff have enjoyed the advantages of a quality academic and co-curricula programme in our structured and supportive environment. Our parents appreciate the friendly, family atmosphere that is experienced throughout our co-educational campus and can be confident that their children, whether day or residential students, have access to high quality educational opportunities. We welcome enquiries or visits at any time. 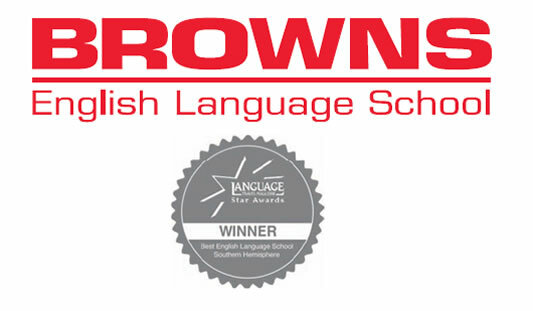 BROWNS aims to attract a diverse group of students from the non-English speaking world and provide them with the highest level of excellence in English Language Curriculum, English Language Teaching, Facilities, Student Services and Accommodation. Our promise is to provide you with a first-class English learning experience. It's your life. Choose wisely! Study at the award-winning "Best English Language School in the Southern Hemisphere". We currently have student accommodation located in Birmingham, Cardiff, Coventry, Glasgow, Liverpool, Leicester, London (Wembley Park and Southwark), Manchester (Higher Cambridge Street and Upper Brook Street), Newcastle Upon Tyne, Nottingham, Wolverhampton, Sheffield, Cork (Ireland), Bremen (Germany) and Valencia (Spain). All our cluster bedrooms are en-suite and are arranged in flats of 2 – 6 bedrooms (flat types vary at each hall). For those who prefer more independent living, some of our locations offer studio apartments with the same fantastic facilities provided in our shared flats. Victoria Hall boasts unrivalled locations with our halls located minutes from University campuses and close to city centre attractions and nightlife. 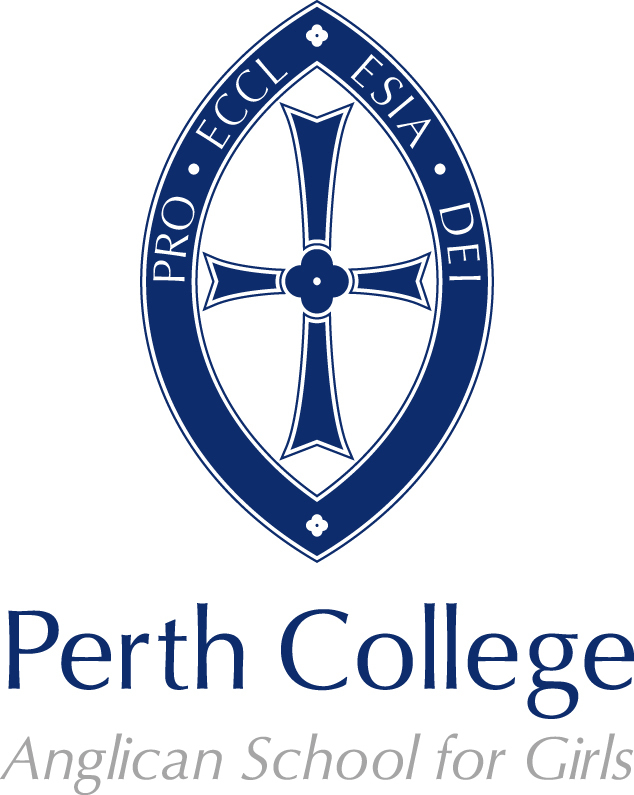 St. George's College is the senior residential College within The University of Western Australia and is affiliated with the Anglican Diocese of Perth. Our first students came in 1931 which was the same year the University moved from its old buildings in Irwin Street, Perth, to the new Hackett buildings on the site in Crawley. The original building, with its Neo Gothic style of architecture and its formal garden, is a local landmark. The College grounds are entered in the Register of the National Estate by the Australian Heritage Commission. The College offers single accommodation and three meals a day to 179 male and female students who have been accepted and are enrolled at The University of Western Australia. Students studying at other universities will be considered after all UWA applicants have been placed. Members of the College are welcomed into the life of the community and find themselves part of a rich heritage with unique traditions. As a part of this College they are expected to live in such a way that the educational and social needs of the whole community are upheld. The College aims to provide an environment that is conducive to study and the education of the whole person. On-site tutors offer College residents a significant additional resource for their academic life. Living within a college community helps students adjust to the rigors and requirements of university life within a caring and supportive environment. During this time students make lifelong friendships with others from a diverse range of disciplines and professions. It is hoped that the College will offer students a highlight in their life, remembered as a time of growth and where dreams were transformed into realities. As a member of the College community students have access to facilities which include common rooms, tennis/basketball halfcourt, library, dining hall, TV room, college canteen, laundry, 24 hour computer room and chapel. Student rooms are equipped with a telephone and internet access, some have ensuites and some are air-conditioned. Welcome to the University of New South Wales’ first residential community designed primarily for postgraduates. While we accept a limited number of selected upper year or honours undergraduates, the focus of the New College Village is on providing an exciting postgraduate community. NCV is a community of over 300 people living and learning together. All are involved in one way or another with study or research at the University of New South Wales or its related institutions. We exist to encourage academic commitment in every possible way. NCV aims to maintain higher academic standards than those generally required in the university. We are also a community of people marked by openness to each other’s area of study and activities. The college is founded on Christian faith and values so we seek to provide care and support consistent with our faith. We also provide opportunities for residents to express their faith and to grow spiritually while they are here. However, we accept residents of all faiths (and none) and encourage open dialogue about beliefs and worldviews. And of course, there is no religious test to gain entry to NCV. UniLodge @ UNSW, Foundation Year Residential College, is student accommodation designed to provide a secure and comfortable living environment for UNSW Foundation Year students, UNSW Undergraduates and Postgraduates or associated UNSW Institution Students or other Universities or Colleges. The customer service staff on site at the student apartments provide a welcoming and friendly atmosphere where students from diverse backgrounds can develop socially as well as academically. The UniLodge @ UNSW Residential College is approximately 5 minutes walk to the UNSW Foundation Year campus and the main campus of the university. Convenience stores, banking facilities and public transport are right at your doorstep. Student apartments are fully furnished. Each bedroom has a large study desk, desk lamp, ample storage space and a very comfortable king size single bed. Bed linen and towels are provided and are laundered every two weeks. Kitchens are equipped with gas burners, refrigerator, kettle and toaster. Kitchen and cooking crockery packs are available for purchase at UniLodge Your Shop. Every student apartment is cleaned fortnightly. There are a variety of student apartment types available at UniLodge @ UNSW . Students can choose to live independently in a studio or share a multi bedroom apartment with other students, some of multi bedroom apartment with a private bathroom & balcony. UniLodge Sydney provides you high quality, fully furnished student accommodation in close walking distance to the University of Sydney, UTS and other Sydney Colleges. Just as close are major shopping centres, cinemas, theatres, Darling Harbour and Chinatown – making UniLodge Sydney an excellent choice for you if you are a student looking for accommodation that offers convenience, safety and security.